I'm in the process of setting up several of my Filofaxes in a new way (as I blogged about here). The time I'm spending doing this is making me wonder if other people spend so much time tweaking and maintaining their Filofax systems. Also in my Deco I'm creating an "Indonesia" section, and a "Move Scotland --> Indonesia 2011" section. It's nice to have this information consolidated into my Filofax, but it involves a lot of re-copying from various sources. 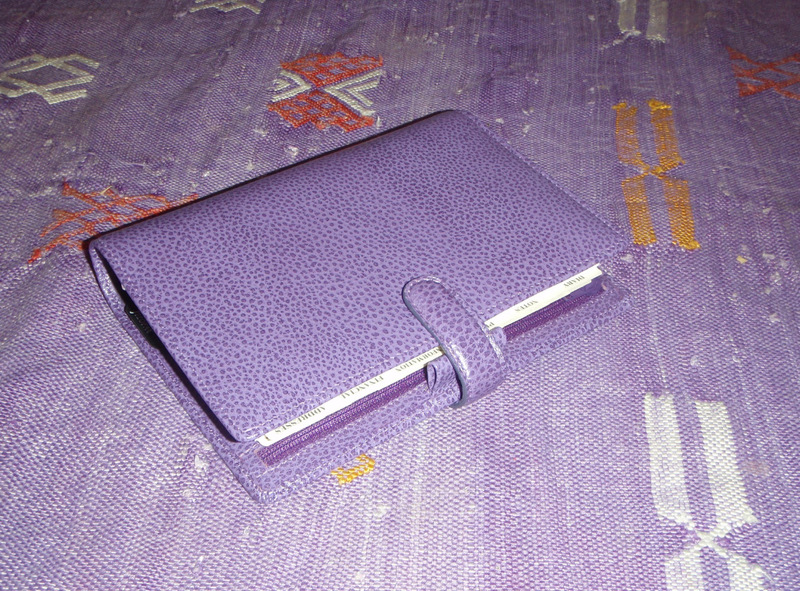 In the end I'll have a completely updated Deco, a new Medical Journal Filofax with sections for each of us (which I'm currently working on too), my Urban Travel Filofax and my purple Finsbury Moving Filofax. As you might imagine, this process is proving to be quite time-consuming. But I am taking the time to do it now, even though I'm already so busy, because I know once it's done I'll have the peace of mind of knowing exactly where to access all this information. I want to get it done before we move, to have these Filofaxes handy during and after my transition. Putting these Filofaxes together made me wonder how much time, on average, people spend on "Filofax System Maintenance." How much time does it take you to set up, and then maintain, your Filofax system? I can image at the fastest end of the time spectrum the minimal amount of time it would take to remove a year's worth of diary pages and insert a new year's worth of pages. All done. Where do you fall on the time spectrum? Do you set up your Filofax once a year and you're done? Or, like many of us, does your Filofax system require maintenance throughout the year to update pages, glean unnecessary material, and other general upkeep? I have to say a big thank you to Caribbean Princess for being my web scout this week and sending me the links to some of the following posts. Strangely Google Alert hasn't told me about any of these posts this week, odd. This is just to thank all of you who have posted such wonderful messages of goodwill over the last week, on Twitter and on the Philofaxy website. As some of you know, I had a bad accident at home last Sunday, falling from a step-ladder, breaking my right elbow (which had been previously broken in 2005 and was already subject to internal wiring and metal plating) and also compound-fracturing my upper arm in four places. I've spent a week in Yeovil District Hospital, Somerset, England, been to surgery twice (once on an 'emergency' basis, which was a new experience!) and am now back home to continue my recovery. The good wishes of all my friends on Philofaxy has been so much appreciated, and I wanted to put this message somewhere where it can be seen by all, without getting lost further down the site in the comments - so thank you Steve! My Personal FF has been at my side throughout the last week, but typically of me it's my writing arm I have damaged, so I am currently finding it much easier to type than to use pen or pencil and paper.....so I will most likely be resorting to some electronic means of organisation while my dexterity improves! Thanks again to all my friends here, and I look forward to being a full contributor once again very soon! Take it easy David and let us all hope you make a speedy recovery and keep off the step ladder!! Do you find that your A5 Filofax takes up too much space on your desk or your kitchen worktop? 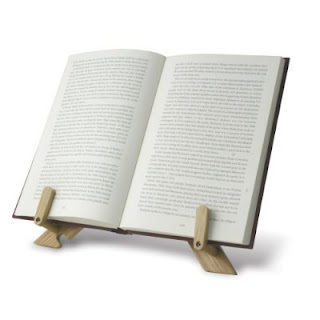 Why not use a book stand to elevate it off the surface. There are plenty of different styles to choose from as well. And the ones for kitchens have a sheet that your Filofax could sit behind and it would be protected. Also if you use it sat next to your computer screen it will be more visible and easier to read. Here's another idea I had recently for my Filofax: adding pages for future years beyond what are currently available in print. Here's an example: This month my family and I are getting shedloads of vaccines before we move to Indonesia. In addition to recording what vaccines we receive in my Medical Journal Filofax (which I wrote about here), I will also create annual "ticklers" (for those of you who are familiar with tickler files) in my main Filofax for things that need to be boosted in future years. Here's the specifics: This month my kids got vaccines that are due for boosters 3 years from now. In May my daughter is due for another vaccine that will need boosted after 3 years, and my son will be due for the same vaccine in September. So I will write a page with "2014" at the top, and down the page I'll write, "February: D & S Rabies vacc booster," "May: D typhoid booster," "September: S typhoid booster." As the year approaches and more events need to be recorded, I'll fill them in. Similarly, some of the vaccines they've gotten this month need to be boosted in 5 years. And, other vaccs need to be boosted in 10 years. I'll write a page per year for the next 10 years and fill in what needs to happen each year in which month. I'll keep these years sequentially in my Diary section of my Filofax. Then when those years' calendar pages are available, I'll buy them and fill in the dates as appropriate. Someone had the very good recommendation recently that I get a fold-out 4 year calendar, but I don't need that daily level of detail. A page per year for the upcoming 10 years will work well for me, and as each year approaches I'll already know what needs to happen in that year. Does anyone else do far-future planning in your Filofax? I am moving out of the UK in 4 weeks so I won't be able to use my Gourmet Society membership card that came in the Gourmet Gift Box. I'm keeping the Filofax, the pen and the City Dweller insert pack, because I do use all of those. But the Gourmet Society membership card is good all the way through the end of December of this year, and it would be a shame for it to go to waste. 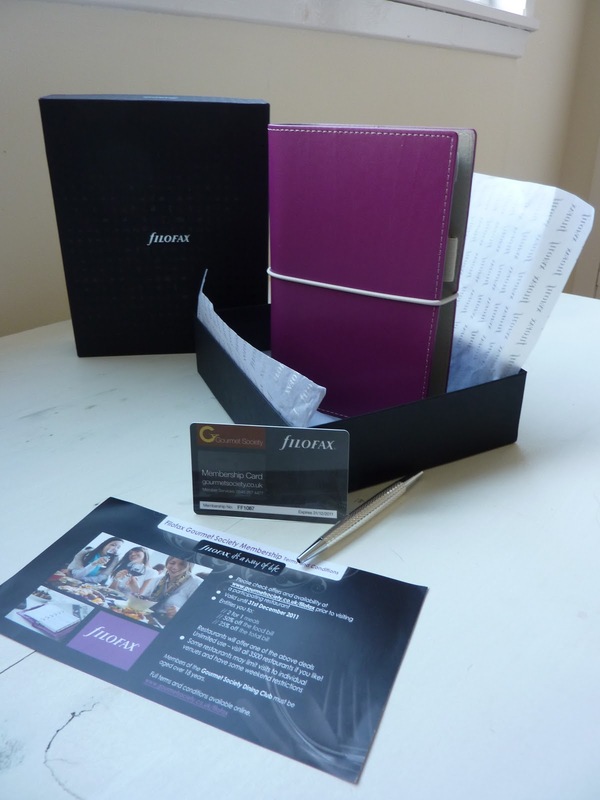 Click here for the Filofax UK page with information about the Gourmet Gift Box. Scroll down on that page and, if you can stand to watch the video of me, I explain how the Gourmet Society membership card works and how to use the website to find participating restaurants. The membership is for the entire UK, but depending on where you live there may be more or fewer participating restaurants near you. The catch, of course, is that the membership is good only in the UK, so this giveaway is only for UK people. Sorry to everyone else! What was my (Laurie's) very first real Filofax? We are going to run another conference roundtable voice chat using Skype. When? - Sunday 6 March from 12am (US East Coast time), 5pm London time, 6 pm Paris time etc. What do I need? - just a micro-phone and a free Skype account. Who - All of you... connect up with Philofaxy and we will attempt to get as many of us linked in to the audio conference as possible. Then 'Start Chat', I will then add you in to the chat room. As with previous round-tables there will also be a parallel text chat room going at the same time as the voice conference. Hope to be chatting with you next Sunday, if I can work out how to drive the new version of Skype! Same style different ring sizes? In case you missed this in the depths of the comments of FFAF. "How about going slightly retro and offer the same size/style of organiser but with different ring sizes like the Winchester was available in 2 or 3 ring sizes back in the 1980s"
A thin A5 although promised has never been produced yet. 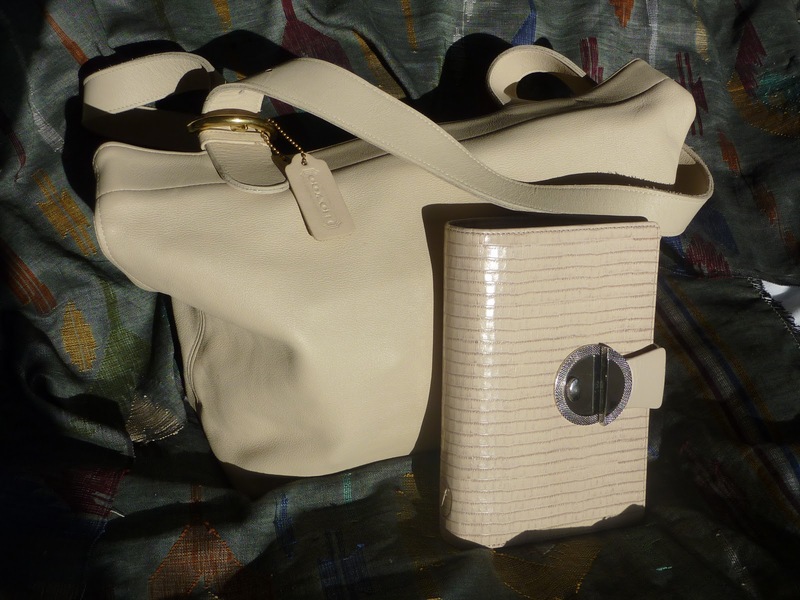 I'm using my personal Deco as my Information book (which looks particularly nice with my cream-colored Coach tote). I have all my local contacts, maps, addresses, emergency info, business cards and whatever else in it. But I'm using a separate planner book, and another separate notebook for my moving info (in an attempt at permanence due to having lost my previous move's Filofax pages). Even for me, carrying three books around is a little crazy. So I'm thinking of creating a new Move section in my Deco, and when I'm done with it I'll archive it (carefully and thoroughly!) in my purple personal Finsbury. I can create a section for each move I do, and even make sections for each location. I think my future self will thank me if I do this. I already use my first Grape Domino as my Scotland Filofax which I add to with every trip here. You can click here to see photos of it and some contents on my Flickr set. Now that I'm moving to Southeast Asia, where I've never been, I'll be doing a lot of traveling in entirely new (to me) areas. I've decided to make my wonderful personal Urban procured for me by our beloved Oni into my grab-and-go comprehensive Travel Filofax. It contains my Filofax Travel Lifestyle Pack pages (click here to see my review), so it's loaded and ready to go! **Edited to give credit where it's due: Nan's post about creating a designated travel Filofax gave me this idea. The good thing about using my Deco for my Information book (even if I do continue to use a separate planner book) is that I can add travel, medical, notes or other pages when I'm out and about and file them into their respective designated Filofax when I'm done actively using them. Or, I can bring along the entire designated Travel, Medical or Moving Filofax, and since it's Personal size it's not too big to bring the entire binder. The individual designated Filofaxes will serve as long-term records over the course of many years, and can be added to easily. I really like this new system!! I'm hoping the divide-and-conquer approach to keeping information in these portable and flexible Filofax systems will help me organize my frequently-moving, on-the-go life. While using my one Personal Filofax for several years now, I was recently faced with a long weekend of traveling for a work conference. I realized that I need a separate Filofax to hold all of my reward cards, reservation slips, and so on. I ended up making the trip carrying my usual Personal Filo stuffed with information I need for permanent reference, but which isn't very helpful while traveling. The next time I travel, I'll definitely have a dedicated Filofax, including all of my travel documents, rewards program numbers, maps, and so on. Does anyone else use different Filofaxes while traveling? I just got back from the travel clinic, where I got seven (yes 7) vaccines. Ugh. While the nurse was writing down everything I had today, I asked if I was set for life for all of these or if I need boosters eventually. Turns out some of them need to be boosted 3 years from now, some 5 years from now, some 10 years and one 20 years from now. I'll never remember which is which. Of course my kids and husband are getting all the same vaccines as we prepare to move to Indonesia. How will I ever remember who needs what and when? Add that to the fact that we move so often we usually see a different doctor each year. This gets complicated when I have to have my annual female exam, my annual skin-cancer check at the dermatologist, kids' medical, dental and eye exams, on and on. Each new doc needs to know our history and anything that needs to be followed up. I've realized that as we move (and move and move) and especially as the kids get older, I am going to have to figure out a way to keep it all straight in an accurate and accessible way. Filofax to the rescue! I have decided to start a Medical Journal Filofax in one of my Personal size Filofaxes with a tabbed section for each of us to keep track of when we are due for vaccines (and which ones), who is due for which exams and when, general medical history, test results, and anything else that we might need when visiting a new doctor. In the A-Z section in the back I will record addresses and phone numbers of doctors we have seen, to make it easier to contact them later if needed. Shuffling around all over the world makes it impossible to have any medical continuity, so I have to create it for myself. Does anyone else use a Filofax as a medical journal? Do you have any tips for me as I create mine? also the Holborn comes in slim line very nice line as well"
Sounds like the Aston is replacing the discontinued (except for the purple) Finchley. I'm excited about the Compact size, I've heard it's between a normal Personal size and Slimline. And the Metropol in lavender with green stitching sounds cool!! 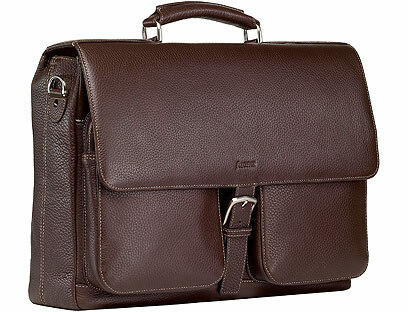 Filofax UK have generously sent me a promo code for 50% off the Filofax Finchley Large Briefcase in chocolate coloured leather. To get 50% off this bag and only pay £97.50, click on the link to the Finchley Large Briefcase, and when you get to the check out insert the promo code 'philo1' and you will get 50% off the full retail price. Or alternatively if you would like a Filofax Classic Purse in Cherry for £27. To get 50% off this purse/wallet, click on the link to the Classic Purse in Cherry, and when you get to the check out insert the promo code 'vcodes1' and you should get 50% off the full retail price. 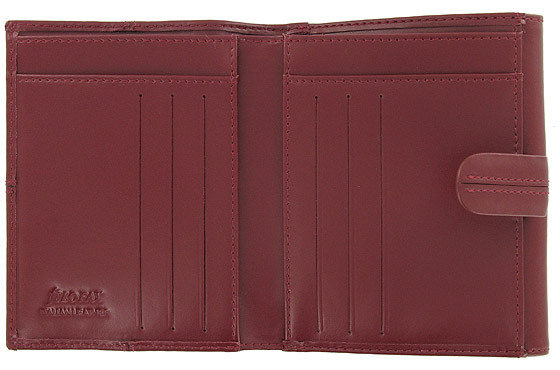 To get 50% off this stylish Filofax Pocket Organiser, click on the link to the Tropic Pocket Organiser in Mahogany, and when you get to the check out insert the promo code 'c2b1' and you should get 50% off the full retail price. Or how about 50% off a Domino Zipped A4 folder. Note this is not an A4 Filofax Organiser, no rings. To get 50% off a this item click on this link to the Domino Zipped A4 folder and when you get to the check out insert the promo code 'mvcodes1' and you should get 50% off the full retail price. All offers end on Friday March 11th 2011. Once again thanks for your great response to the various questions last week. So once again you can ask any Filofax question you like and let's see if we can answer your questions. Don't worry how minor your question might be, or if it's been answered before, things do change and we might have some more recent information. As I mentioned the other day, not many new Filofax related blog posts on the interwebs this last week, but what there has been is definitely worth a look. Wardrobe Challenge - Paper r u s h blog - I think you agree the use of different colours makes the diary pages stand out and help with they organisation for each day. Adding structure to an unstructured day - Caribbean Princess - As CP prepares to start her PhD studies.. we explains how she is going to plan her days to get her work done, not easy but I'm sure there are some tips for all of us in this post. 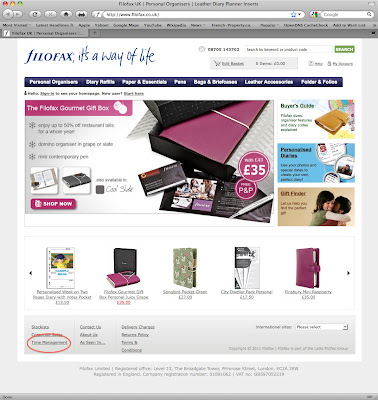 Filofax gets a lead role in a film along side Jennifer Love Hewitt! - review of a new TV movie coming out soon I believe. And finally I am sure you will join me in wishing one of our readers David Popley a speedy recovery after an accident yesterday afternoon. He is currently recovering in hospital in Somerset. David and I were due to have a telephone chat this evening about Time Management, but I got an email from his wife this morning telling me that our discussion is postponed until David is settled back at home. Last weekend I watched the movie Home Alone with my kids. It was the first time they had seen it (and they loved it, proving the 80's have trans-generational appeal), and I hadn't seen the movie in at least 10 years. So imagine my delight and surprise to see a Filofax in the film! For those of you who have seen the movie, the Filofax is at the part when the parents are in the Paris airport and are trying to phone someone back home to check on their 8 year old son, whom they inadvertently left home (alone). The mom hands a big, fat, black-covered Filofax to her sister-in-law and says, "Here's my address book," and asks her to call everyone in it. It's a classic 80's Filofax moment! Filofax to the rescue in a crisis. Have you discovered any surprise Filofaxes in movies or on TV recently? You might not have noticed that the Gourmet Gift Box set has now been reduced to £35. I think this is very good value for money. - restaurants from famous names like 'Marco' from Marco Pierre White, Gary Rhodes' 'W1 Brasserie' and Atul Kochhar's 'Benares'. - see www.gourmetsociety.co.uk/filofax for a full list of restaurants, offers and terms and conditions. So if you are thinking of buying a friend or relative an Easter present, why not get them this excellent gift box set. Or treat yourself and make good use of the discount card over the Easter and May Bank Holidays. 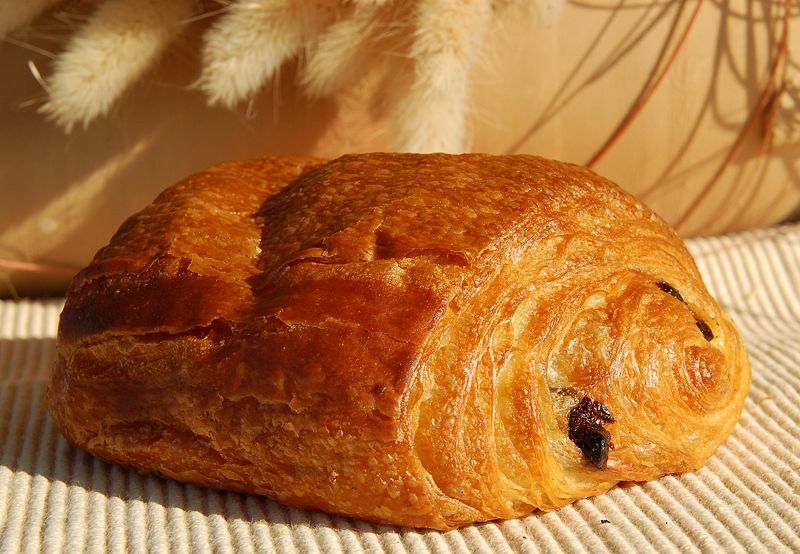 There is a feeling that Spring is just around the corner here in France, temperatures in the mid teens most days, which is very nice, but it's only February and we could still get bad weather. I suppose it's the same with our Filofax Organisers, we might have made some change at the start of the year and we have been 'settling in' to our new set up, everything might appear to be going well up to now, then there is a change of circumstances that suddenly means you have to change your set up again. I don't think any of us like changing our set up, it takes a few days to find everything again, but sometimes the change is for the better and we wonder why we never tried that before. 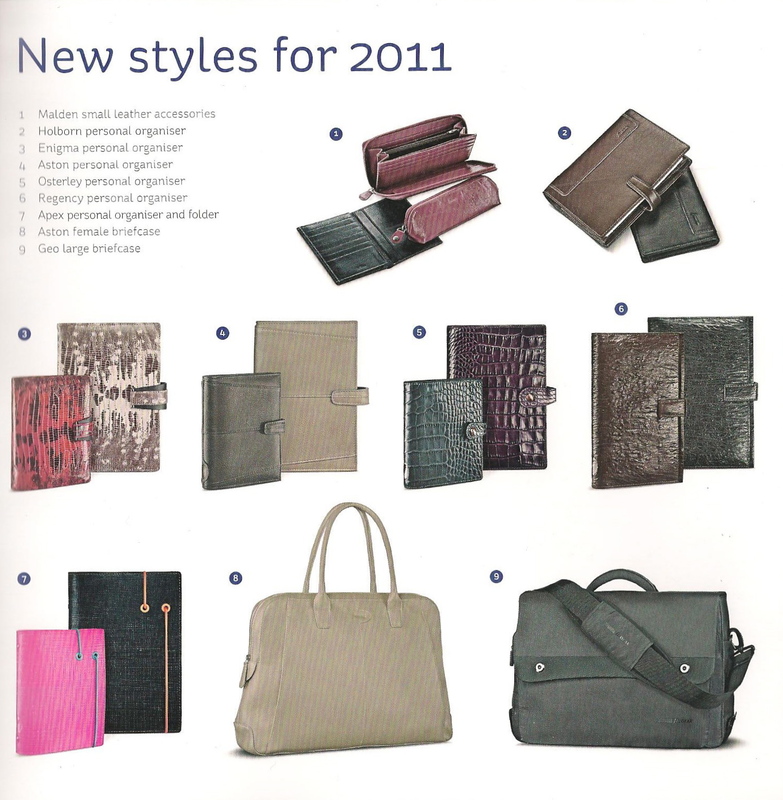 So have you had to change anything in your Filofax this year? But as it's Friday the floor is as usual yours to discuss anything Filofax related. If you are interested in broadening your Filofax collection to include accessories, here's a recommendation for you: the Finsbury wallet (purse). I've been wanting a pink one for a long time, and discovered it's on its way out. So I knew I had to grab it fast! I found it on the Filofax France website for half off, and delivery to the UK was fast and reasonably priced. Click here for the product page. The wallet comes in a nice Filofax gift box. 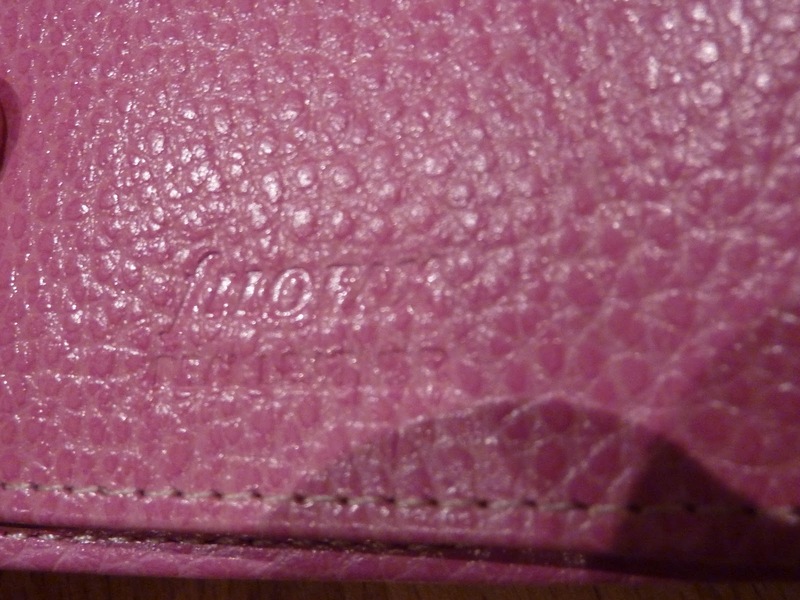 Hard to see, but "filofax" is imprinted in the leather. 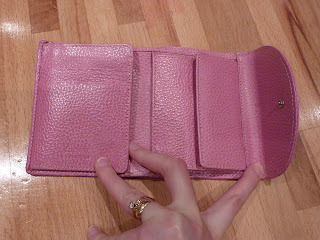 Wallet open with card slots at the left and popper coin pocket at the right. 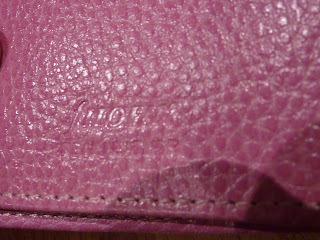 Again hard to see but "filofax real leather" is printed inside. The left side folds open to reveal a mesh ID pocket and more pockets for cards. Also behind the popper coin pocket is a pocket. 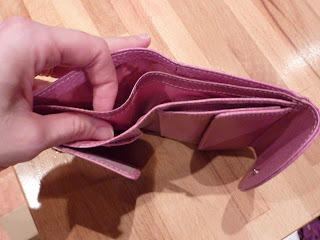 There are two separate full-length pockets for bills. 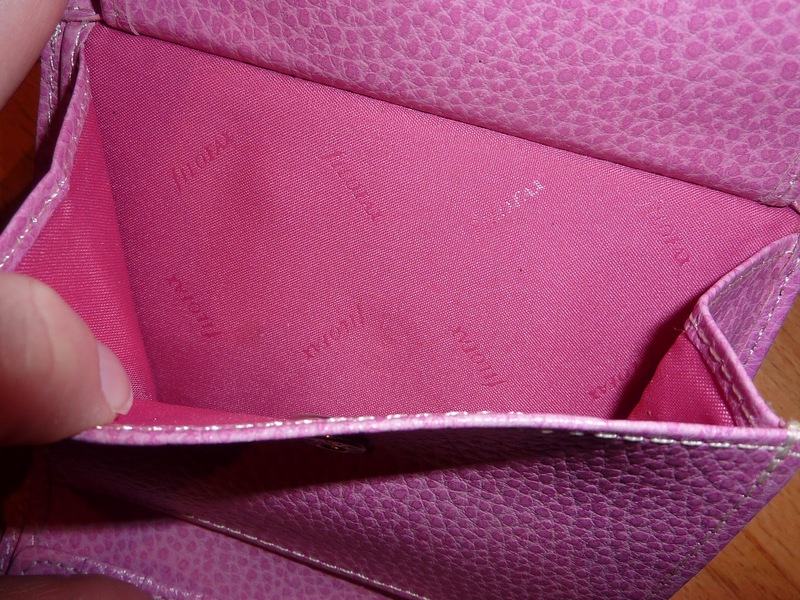 The fabric inside the coin pocket has "filofax" printed. 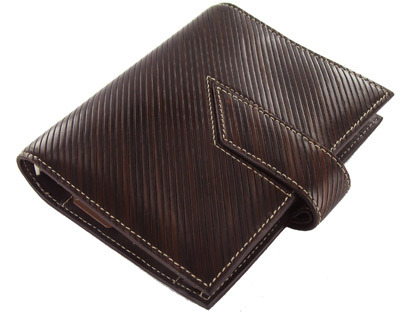 Very nice wallet! I'm really glad I ordered it before they are gone! The following are links recommended by our readers. Thanks to everyone who has submitted a link in a comment, I will continue to capture them in posts from here on so they are easier to find on the blog. David Allen the well known author of 'Getting Things Done' has a free downloadable article on his website called Organising a Paper Planner, in it outlines how he would set up his planner sections to fit with his GTD philosophy. I used his recommendations for setting up my A5 desk planner. To get a copy of the article and his other free articles go to his website and click on the 'Buy Now' links, they are free, but you will have to set up a simple account on the site. So here is your chance to fire away with some Filofax related questions no matter how major or minor they might be. Thanks for the great response to last weeks questions and answers. So continuing with our Task and Time Management theme. 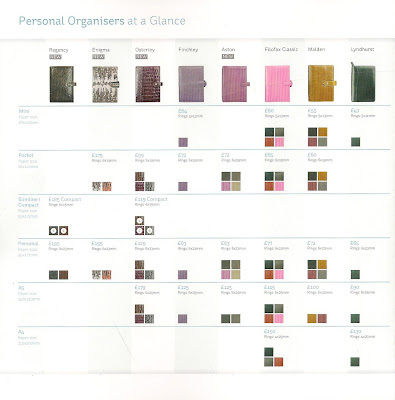 As well as all the inserts we are familiar with and the organisers themselves, Filofax you might not have realised have a Time Management range of inserts, these fit in to any A5 Filofax organiser. If you didn't know about these, it's most probably because the link to this section of their UK website is not very obvious, see the picture below. Click on the Time Management link and it's like going through a Worm Hole in to another dimension! 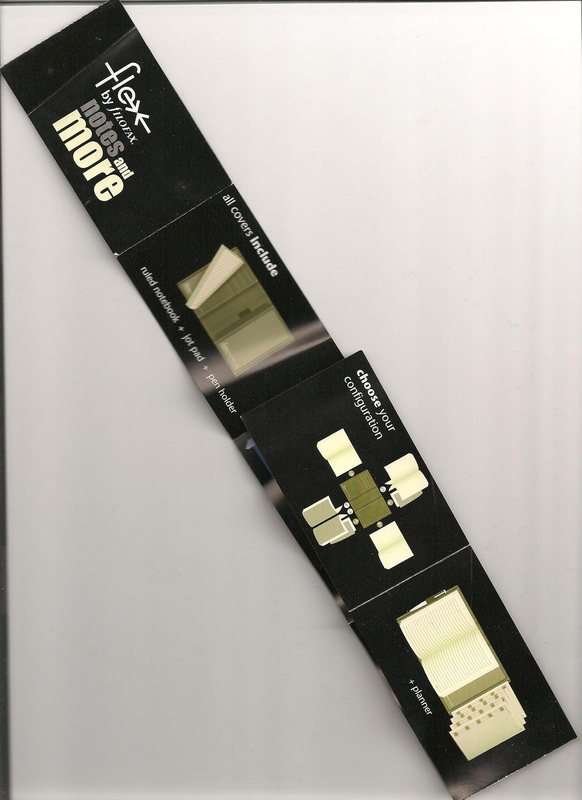 What you will find is their range of Time Management inserts. Details of the training courses they run in conjunction with an external training company, Time Workshops. Has any of our readers ever attended one of these courses? The TM inserts are quite different to the usual ones you can buy from Filofax. They are sold as annual update packs with the option of a Week to View Dated, or Day to View Dated, both in A5 format. 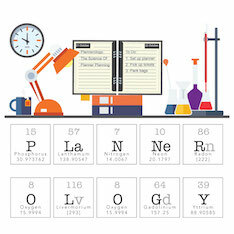 Also included in the packs are various monthly, yearly and project planners. 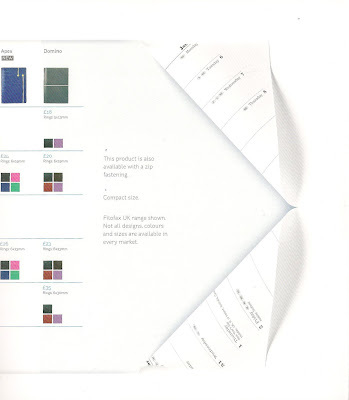 There are also Undated Packs available that contain some of the usual pages you will find in a regular Filofax fill, but there are some additional ones that aren't on the normal part of the site that are dedicated to project planning and performance monitoring etc. Check out the To-Do lists, very different to the normal ones. If you click through to the Filofax site from the links above and then click on the various links you will see all the pictures of these different packs. You can also buy some of the sheets individually on the Refill Stationary page. Do any of our readers use these Time Management Packs? What is your experience of using them? Please share your experience with us via the comments or please consider sending us a Guest Post by email. Thank you. That if I'm not mistaken that is Oni looking at Adam's A5 Filofax and he appears to be using the Day to a View TM pack? This is a short introduction to a series of articles to help you (and me) get the most from our Filofax Organisers, whether you only have one or several of them. Just because you have a Filofax doesn't automatically make you an organised person... although it can of course help you become one. It doesn't matter which organiser you own, the content of your organiser is more important to becoming an organised and efficient person. This is no different to having an expensive digital SLR camera, until you know how to use it, you will still make the same mistakes as you would with just a point and shoot camera. Which particular organiser, style, colour, material etc, is a very personal choice and for now we will put that choice to one side and concentrate on the content of our organisers and how we use them to achieve your goals in life. There is not just one way to use a Filofax to organise your life/work etc. We all have different demands on our time. Some of the ideas we will share through these articles you might already be using, which is great. Some might not work for you, why not? Tell us, we might be able to suggest a variation. Let's learn and share together. I don't pretend to know everything there is on this topic, so I would like to ask you now, if you have any input then please contact me with your own ideas, which I will include in future posts or as a guest post on their own. Book reviews - which ones are worth reading? And anything else that we discover that is relevant to the topic. To get us started, you might like to take another read of Jotje's excellent guest post on how she has set up her own Filofax. As you can see it's still one of our most popular articles on the blog. Lots of useful tips and some great info in the comments too. What can you learn from this article, what have you started to use? Are your phone numbers up to date? - I hope that's the case for these guys!!! Have £90.Cant decide. Makeup? Skin care? or filofax????? TUITION FEES? - I'm sure you will be able to help! When Harry Finsbury met Sally Finchley - A romantic tale.. 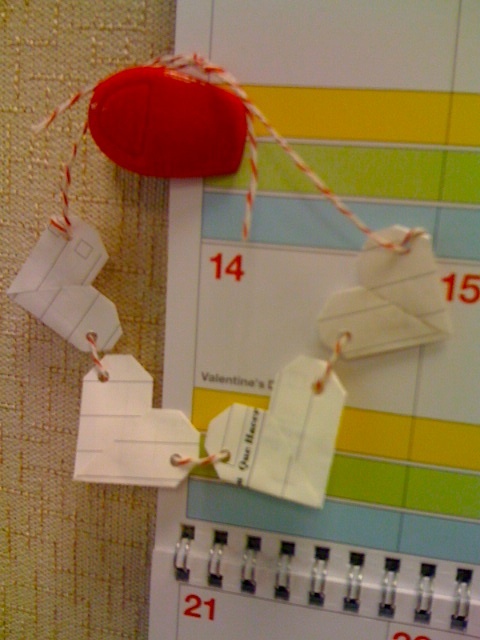 This is what happens when a couple of "to-do" pages don't make the cut in a new planner! It's still all good! There are some great photos of how she customized the cover of her Urban (wow!!) and how she's using a Moleskine cahier in the back as a day on two pages diary. Many thanks to Nancy for sharing her system with us! It's been a while since we had on of these posts, but Alison volunteered to be put under the spotlight after seeing the previous posts whilst taking part in the quiz!! Alison has her own blog which is called Globe Trotting Cacti, Alison blogs about various travel topics and has lots of useful travel tips. 1. When did you buy your first Filofax and what was it? I received a grey Filofax for Christmas when I was around 8 years of age and felt so grown up. My passion for stationary and organising was ignited. My first purchased Filofax was bright blue, it fitted my teenage years perfectly. Planner pad, spiral desk diary, iPhone calendar and various PDAs. Electronic organisation does not work for me (despite repeated attempts to embrace the technology) and I need the customisation that Filofax offers. 3. Out of the organisers you own which is your current favourite (Style and Size)?Personal Malden in Ochre. So soft, lies flat, great inside layout and the perfect size to carry around on a day to day basis. Can you tell that I am in love....? 4. 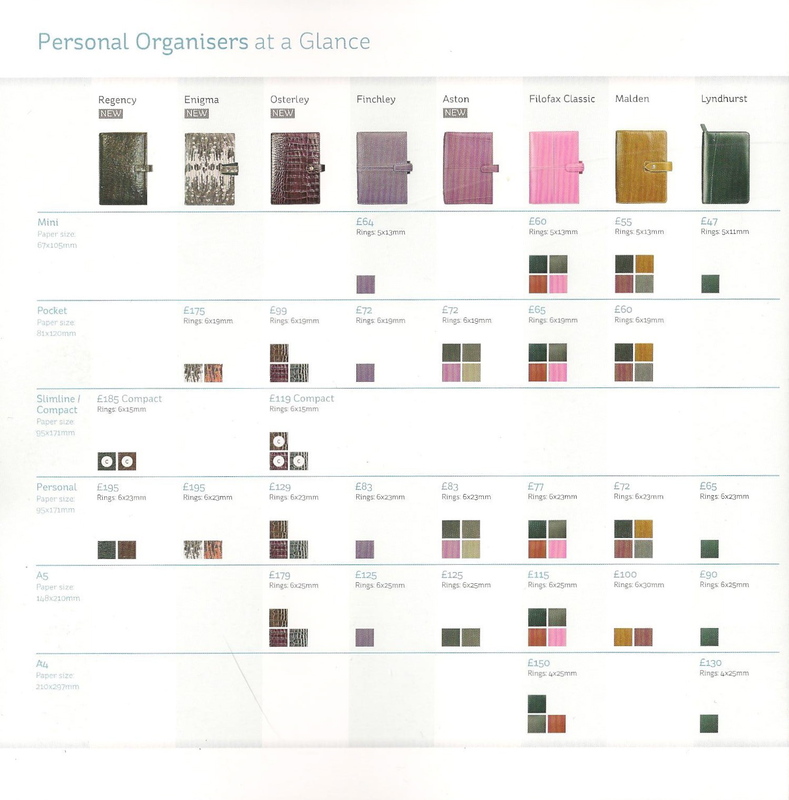 How many Filofax organisers do you own? Two. My personal Malden and A5 Finsbury (raspberry). I sell any Filofaxes that I am not using on Ebay as I like the thought of them being used rather than gathering dust on my shelves. The Filofaxes I do own get heavy usage though. 5. What do you use your Filofax for? Personal Malden is my diary, list carrier, planner, contains my bucket list, what to read list, child related bits and finances. Basically my day to day life (my heart rate rises thinking about loosing it). It is supplemented by my iPhone which I use for my address book. My A5 is more of a reference folder for house and work projects and for tracking my PhD. 6. 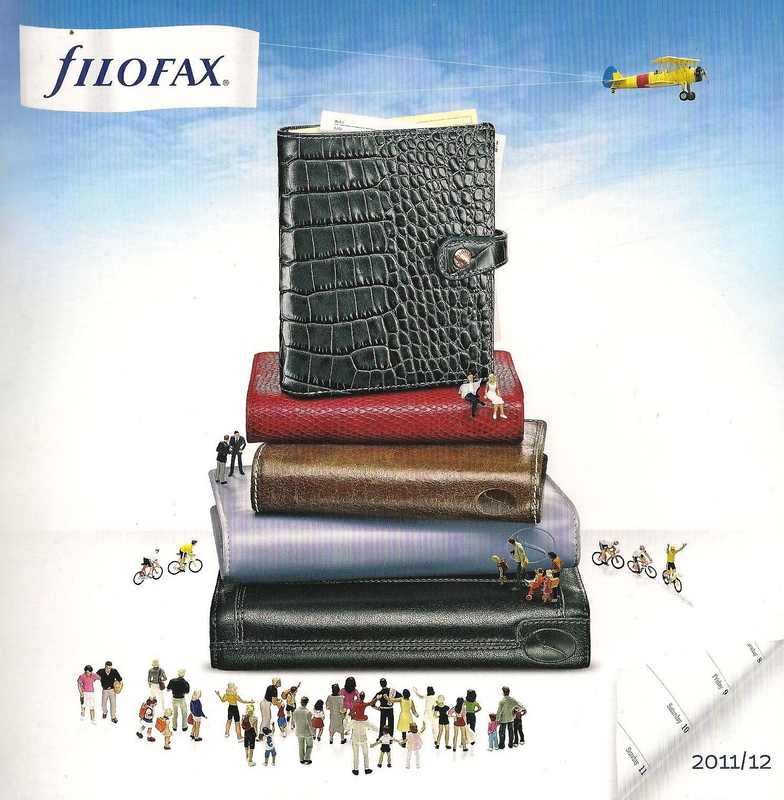 What was the feature about Filofax you like most? The ability to customise the design and layout. No crashing or syncing requirements and I can write things down (electronic diaries just don't cut it with me). 7. If you could design your own Filofax what would it feature? A digital photo frame at the rear. Insert a memory card and the photos would rotate (just like the ones on display in houses). Not sure the technology exists right now for such a light-weight device but maybe in the future. 8. 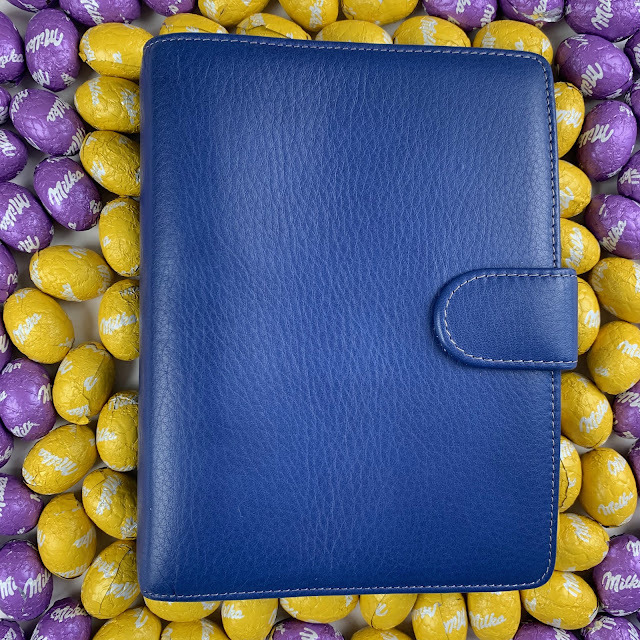 How do you carry your Filofax? 9. Which Filofax in the current range do you like the most? Are you going to buy it? A pocket Malden as a list and idea book but I am waiting for the new season designs to be launched. 10. What is the most you have ever spent on a Filofax? Which model? A5 Finsbury in raspberry which was £75. 11. 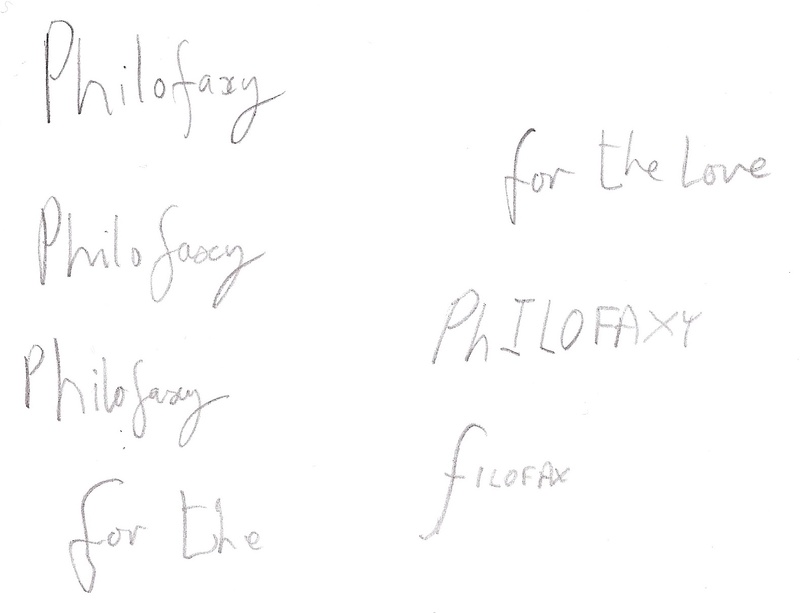 Turning to Philofaxy, what do you like the most? The community spirit, the shared love of organisation and that every-one just gets it (that love of Filofax!). 12. 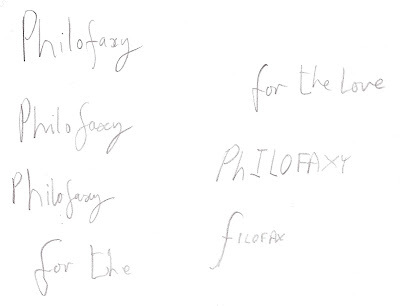 And what do you not like about Philofaxy? It gives me ideas on how to reorganise my Filofax with virtually every post. If I followed all the suggestions I would be constantly changing my set-up. I have to remind my-self of what works for me now and focus on that and just implement the suggestions that would enhance my organiser. 13. What was the last music album CD you bought or downloaded? Stereophonics - Just Enough Education. I had odd songs before but wanted the complete album for my travels next week. Kelly Jones = amazing voice. Thank you Alison for putting yourself under the spotlight... and if anybody else would like to take part please drop us an email. 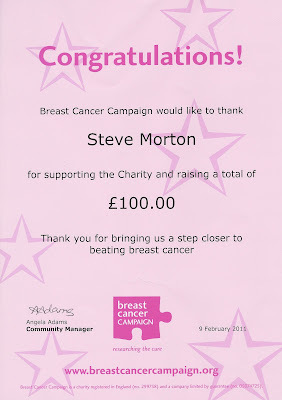 In this mornings post was a certificate thanking me/us for our recent donation. So I thought I would share it with you. 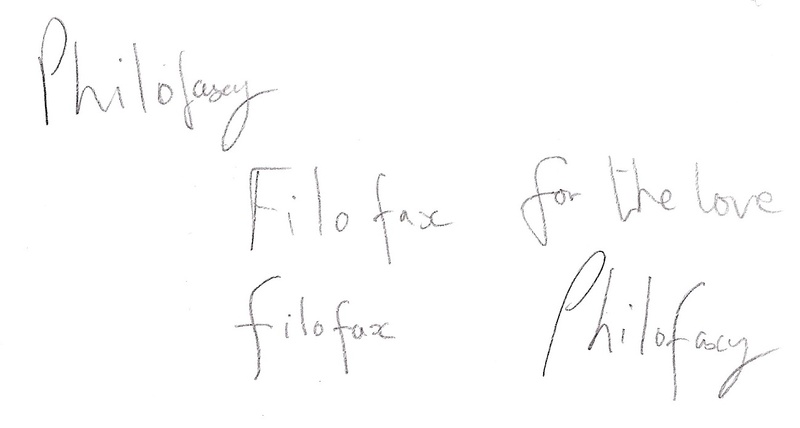 And although it has my name on it, it should really say 'Philofaxy' of course. Once again thanks for all your support and helping me to make it happen. 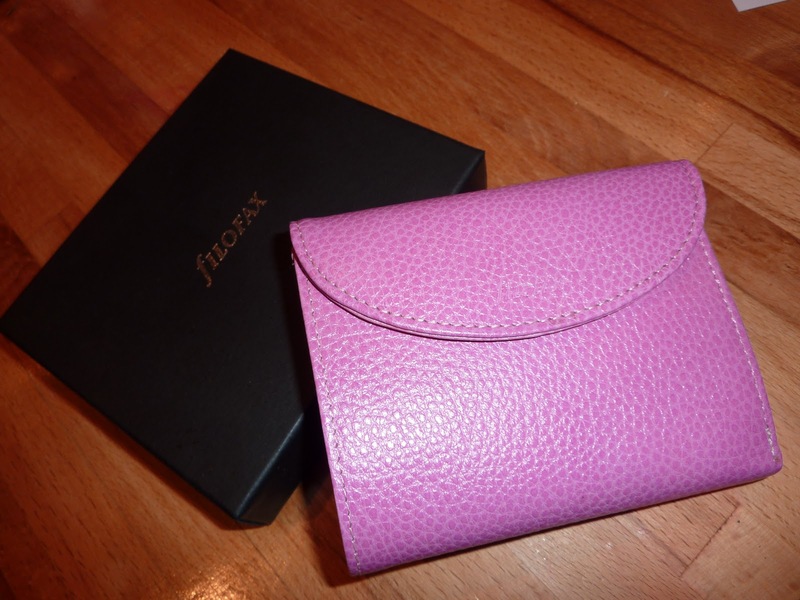 I know many of us are getting excited about what surprises Filofax might have in store for their spring collection. What are you hoping will be included in the new lineup? 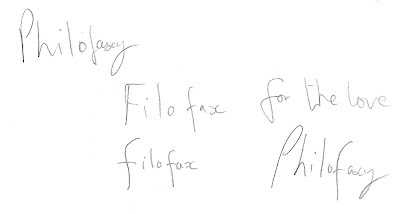 ***UPDATE: See the post below for information on Filofax's new lineup!!!! And as always on Fridays, feel free to post a comment on anything Filofax-related! The first big shock is that the Finchley line is gone, with the exception of the Imperial Purple colour. Should we start a 'Save the Finchley' campaign? Although some of the new ranges look similar in quality. All existing accessories are gone, and they are bringing out the accessories to match the Malden range, which also has a new colour. 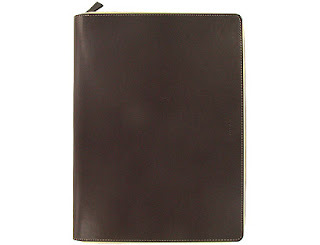 They are also introducing the Holborn as an organiser, this was released last year as conference folders but proved very successful, it is made with Buffalo Hide instead of leather. Chameleon has 2 new colours, although its not very clear from the catalogue what they are. Songbird is staying but with the addition of a purple colour. Metropol has a new colour which I think may be Grey or a very dull blue, again hard to tell exactly. Malden in Mini and A5 as well as Personal and Pocket. Other lines have been removed completely, such as Mode, Guildford and Sketch. Classic Slimline has been removed. The new lines they are adding are called, Regency, Enigma, Osterley, Aston, Holborn and Apex. They are introducing a completely new product called "FLEX BY FILOFAX". 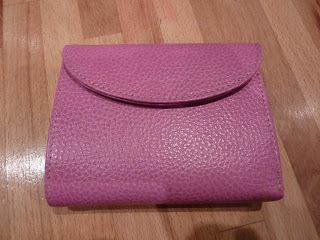 This is a notebook cover in Pocket, Slim and A5 size and comes in Black, Magenta and Slate. 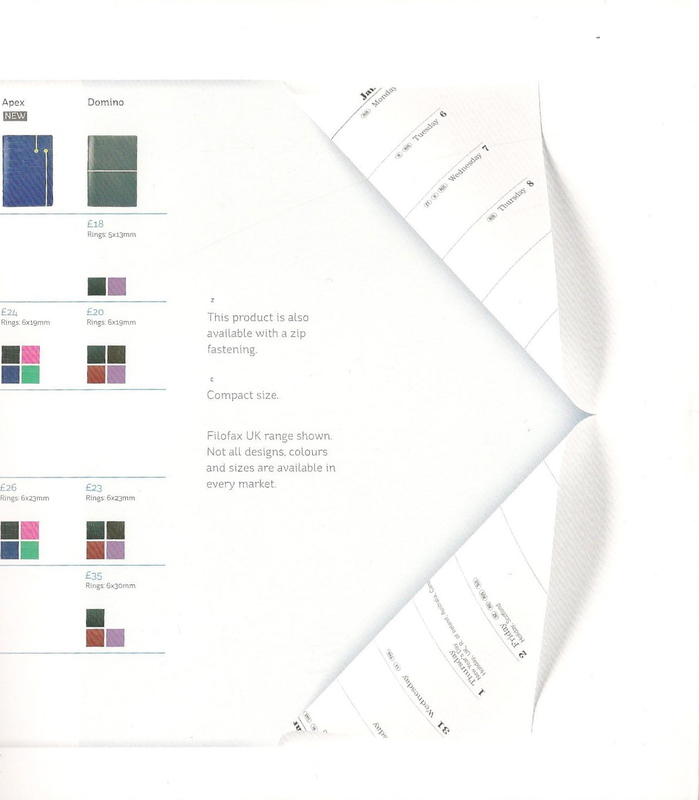 So you buy the cover and then you select what type of refill you want for the notebook, ruled paper, blank paper, diary, planner, contacts or jot pad. You also get to choose the configuration, meaning there are 4 slots for you to put the item into, top, bottom or either side making it really suitable for left handed people. Its hard to explain without seeing the leaflet but believe me this is going to be huge. They are getting ordered into stockists on a special stand that will sit beside Filofax and has a screen at the top with a video showing customers how it works. Each cover comes with a ruled notebook, jot pad and pen holder, oh and by the way, the pen holder also slots in so can be moved around the notebook as well. We believe they will range in price from £17 - £25. It will also have its own website at http://www.flexbyfilofax.com/ but it has not yet launched. Still breathing???? Phew, lots to take in... and there was me going to buy a red Finchley Personal... now what... As always new models will most probably be released in UK first with international markets coming later. Well we had a great response to the quiz, it was wonderful to hear from people both new and old to the blog. Question 1: In the beginning what did Philofaxer allow to gather dust. Question 2. Where did Nan buy her first Filofax using a gift certificate? Question 3. 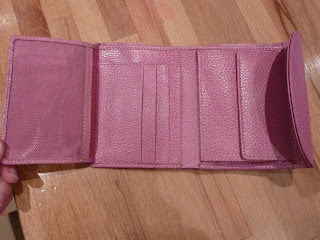 In 2010 GMax sent in a Guest Post about what type of rare Filofax Organisers? 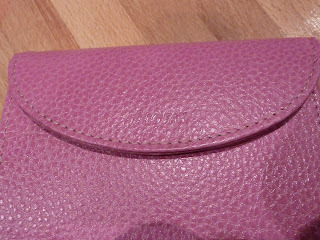 Question 4: Who submitted the design for the Vintage Leather Change Holder to Filofax, which they then put in to full production? Question 5: When was the first Philofaxy round-table discussion Skype? This you could find by searching or using the label Round-table and the answer is in the post about the announcement of the first one. The answer being 25th April 2010. Question 6: Which city in Southern England gave its name to one of the most sought after vintage Filofax Organisers? Question 7: Where did Steve meet Laurie in April 2010? Question 8: Which of our readers under the spot light had recently bought the latest 'Lady Gaga's' album? Question 9: What is the hole spacing on an A4 Filofax Organiser? However you arrived at the correct answer doesn't really matter. I hope you enjoyed the quiz, it was fun for me setting the questions, which I did try out on my wife Alison before the quiz went live. We will certainly have another one sometime in the future. So the winners... sadly I don't have prizes for everyone who got the correct answer, I will be contacting the people I will be sending prizes too in the next few days and their prizes big and small will be in the post to them soon. I'm very grateful to Filofax UK, Stacey at Stay at Home Mummy, Chris at Pens'n'Paper for their prize donations. I've also had a dig through my stock drawer too and donated a few small prizes too. Again thank you for all being such good sports and for taking part. 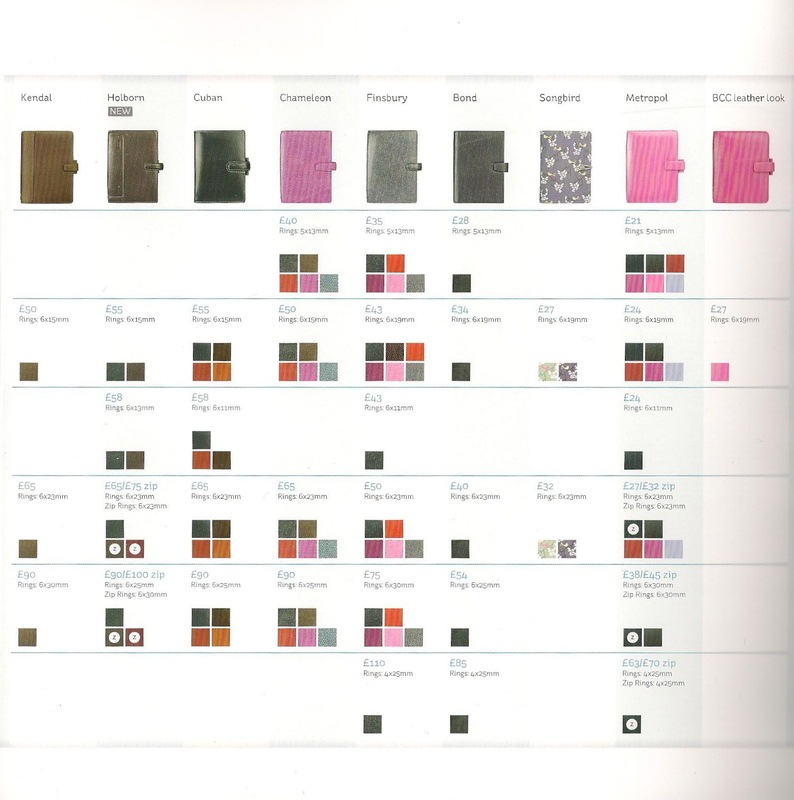 Filofax Organisers, how many do you own? So with a flash of inspiration from Caribbean Princess this morning we have devised a new unit of quantity that has been scientifically researched and developed. This unit will be known as the 'Philofaxy' It is a new standard unit of measurement for how many Filofax Organisers you own. 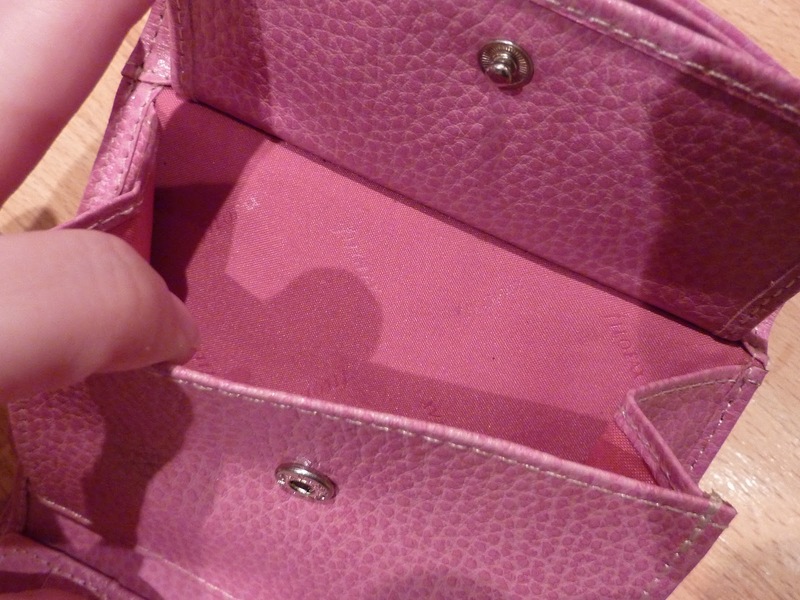 It takes in to account what size your Filofax organisers are and therefore adjusts the number you own proportionally. So if your collection is predominantly small ones, then they are quite low value, so in terms of Philofaxy's you don't have as many as you thought you had....confused? It you take the page area as the unit size of your Filofax then taking an A4 as being one Philofaxy, an A5 is half a Philofaxy, a Personal is equal to a little over a quarter of a Philofaxy, a Pocket is about a sixth of a Philofaxy and a Mini just under an eighth of a Philofaxy. So if you have 8 Mini Filofax Organisers, you only have One Philofaxy. So say in my case I have 1 A4, 1 A5, 3 Personals, 2 Pockets and 1 Mini which is 8 Filofax Organisers in the traditional measurement terms... but only 2.7 Philofaxy's, OK I will be generous and round it up to 3 Philofaxy's, but you have to admit 3 sounds better than 8???? Hold your head high and be proud!!! No it's not April 1st!!! OK I've titled it Free For All Tuesday, but I'm sure there will be a few questions thrown in for good measure.. Thanks for all the feedback on this initial idea last Wednesday. How old and tatty has a Filofax organiser got to get before you 'retire it'? This topic came up yesterday during our Skype Round-table, we couldn't bring ourselves to say that we had ever thrown away a Filofax, this never happens.... or does it? And the one in the picture is the one I restored last year and Alison is using it again!! Lonely Hearts Filofaxes - Caribbean Princess - An amusing read! I was looking for another mechanical pencil to go with my Slimline Filofax the other day. I've been a long time fan of the Pentel P200 series of pencils and I have them in various sizes (0.5, 0.7, 0.9 mm). However, I was looking around a stationary shop whilst out the other day, I spotted some Quo Vadis planners... but I digress! Anyway I was looking through the pens and pencils available in the store and I spotted this BIC pencil with a 2mm thick lead and I wondered what my hand writing would be like with something a bit thicker. The end of the pencil pulls off and it contains a pencil sharpener and a pencil eraser. The pencil also came with a case of ten HB pencil leads. My first impressions are very good, it feels a lot smoother when writing on paper, less 'scratchy' than the much thinner mechanical Pentel pencils I have been using. May be the difference between these two pencils doesn't show up from the scans, but in use I'm going to give the BIC an extended long term test. Unfortunately I've not found this particular model for sale outside of France, unless you have found it for sale. So a quiz to test your Philofaxy knowledge... not quite Mastermind, or University Challenge. I hope you will be able to find your way through my maze of questions until you get to the end of the Yellow Brick Road and you get to answer the final question and submit your entry to us so you can register your entry for the prize giveaway. So how do you take part? It is simple.... you need to find the answer to the first question below, when you find the answer to that question you will find a link to the next question, and so on and so on. As a hint each link is the word or words that is the answer to the question with * * each side of the link so you know you have found the right one. 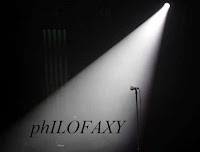 There are 10 questions in total, some easy, some hard, but all of the answers are contained within the Philofaxy blog. To find the answers you can use the labels cloud or the Google search box, or the archive index. The quiz will remain on line all week, the winner will not be declared until 14 February. A league table of finishers will be published on the blog, along with the answers to each of the questions with links to the posts which had the hidden the links in them. Readers Adverts - Some other goodies for sale here too. Yes, it is Friday once again, the weekend is just hours away, don't forget we have a Skype Roundtable again on Sunday, come and join in, come and just listen if you want. Or join in the IM chat. 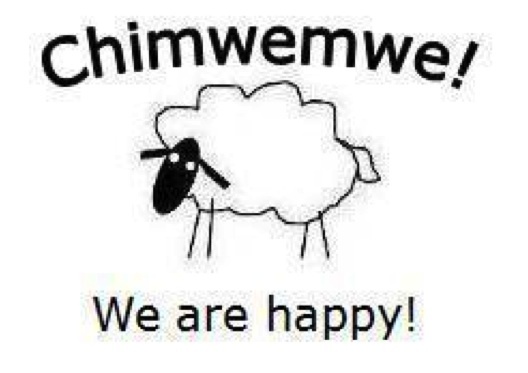 Have a great weekend what ever you are doing, where ever you are. Right the floor is yours to discuss anything Filofax related. There's always a danger when you change your Filofax system that something won't quite work as you thought it would. I've been using my A4 as my desk planner since Christmas, along with my Pocket as my wallet and carry around Filofax, I have to sync both together on a regular basis. But I'm used to doing this. Previously my A5 was my desk planner. However, as you might have suspected the A4 is great on your desk, but you aren't likely to want to carry it around, even around the house. With my A5 I would keep To-Do lists in it that I was only using at home, so it wasn't a big problem to take it upstairs or to the bedroom if I was putting together my next clothing shopping list, or putting together some notes on reprogramming something. So far I've not really used the A4 for To-Do lists, it really is too big, but it's great as a desk planner, clear and plenty of space for the busiest of days. With my Pocket, my To-Do lists tend to be things for me to do or remember to buy when I'm out and about, so the two sets of lists are never totally in sync there might be odd items that are duplicated. If I transfer an item from one list to another I tick it off as completed on the origin list. So this week I came up with an idea to bring my Finsbury Personal Slimline back in to regular use as my at home notebook and To-Do list. It still has my photographic notes in the back so it gets tucked in to my camera bag when we are out photographing houses. The majority of the time it sits comfortably next to the A4 on my desk and the two are working well in tandem. The Slimline as I discovered will hold between 100-120 pages, so there is plenty of space for a great range of notes and lists etc. 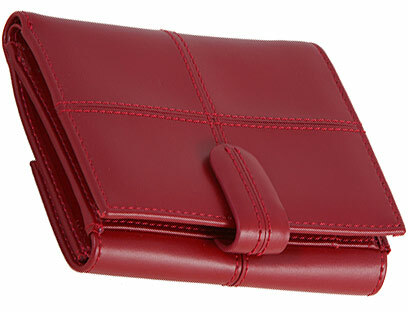 Has anyone else noticed that the Malden Personal is now only available in crimson on Filofax UK. The Pocket size is now only available in black and crimson. 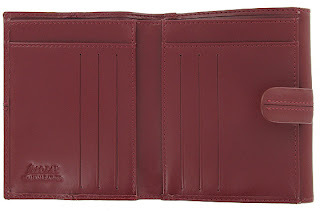 But don't panic, the French Filofax site still has all three colours available at the moment. I will be updating the Filofax Guide over the next few days, the major change in UK is the increase in prices due to the VAT increase. OK an odd title... but 'Have you ever wondered about the number of pages a Slimline Filofax might hold?' 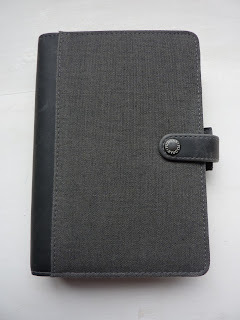 Or any number of other questions you might have about your Filofax Organiser..
Well this post and hopefully others in this series will be a great place to ask those questions... anyone can ask a question.... and of course anyone can answer the questions. We won't limit ourselves to only one question per week, but if you are responding to a question with an answer, please make it clear which one you are responding too, if the questions are similar. I will capture them and add them to our FAQ page, and once the FAQ's grows in numbers, I will separate out the Q&A's in to different sections on that page to make it easier to refer to. So hopefully the FAQ page will build up with some useful answers which we can refer people to... in a polite way of course. If you are little shy about asking a question, then email your question to our email address (see the About page) and I will post your question anonymously on the Wednesday posting. As the title implies this will become a regular post for Wednesday each week, if it proves popular. It is not going to replace Free For All Fridays, they will continue and of course you are then free to discuss anything Filofax related or to respond to the questions or ideas we sometimes pose to you. Oh and if you were wondering about the number of pages a Slimline will hold.... it's about 100-120... I tested this out for one of our readers last weekend!! And it is now on the FAQ page! 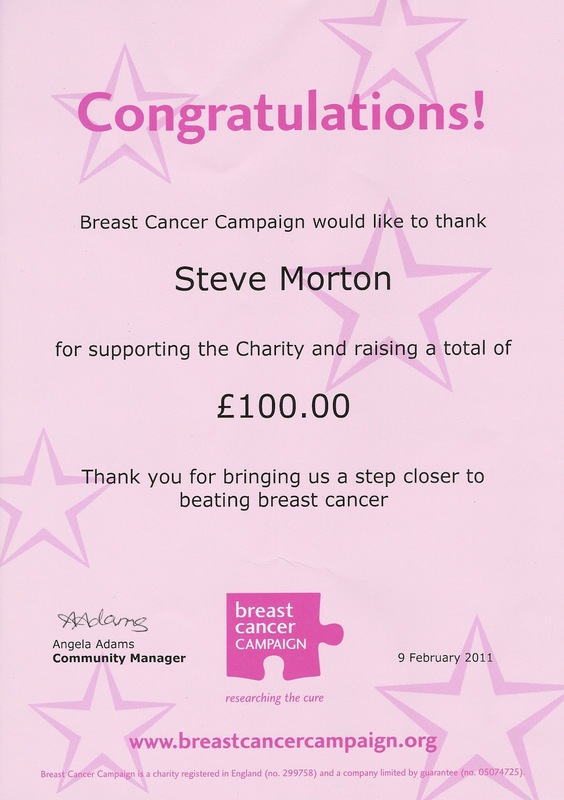 Thank you very much for your generous donation of £100.00 to Breast Cancer Campaign. You have also allowed us to claim Gift Aid which will add an extra 28p to every £1 you have donated, for which we are most grateful. Thanks to research, more women than ever before are beating breast cancer and your gift is vital to our continued success. Thank you once again for being one of the people whose generosity is bringing us closer to beating breast cancer. Have you made a New Year’s resolution to get fit? Then why not join one of Breast Cancer Campaign’s brilliant challenges and have fun and fundraise at the same time! We have a challenge to suit everyone – check out our events and sign up today! Again thank you for your support. I will do a similar charity donation in a few months time.